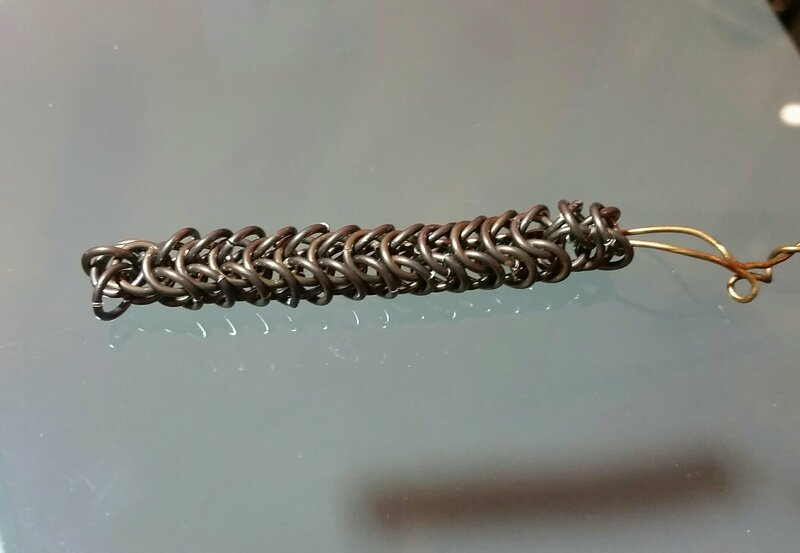 As I continued with the Foxtail chain I’ve been working on, I wasn’t very happy with it. The links were just tight enough in the pattern that there was very little flexibility in the resulting chain. So today I took more 18 gauge sterling wire and made one coil of links that were half a millimeter larger just to see the difference. It’s perfect. I really like the way this is coming out, so I’ll make more tomorrow. This entry was posted in Art, Metal and tagged 100 Days of Metal, Chains, Silver, Sterling silver. Bookmark the permalink.